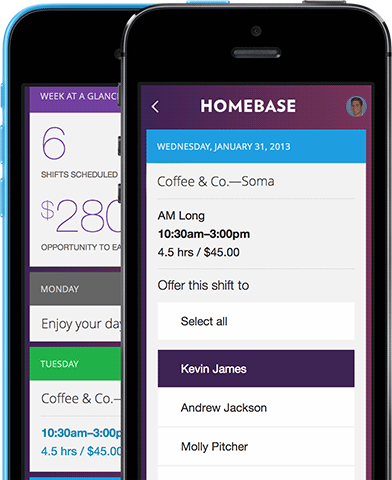 Homebase is a free employee and labor management application designed for the Clover Station. 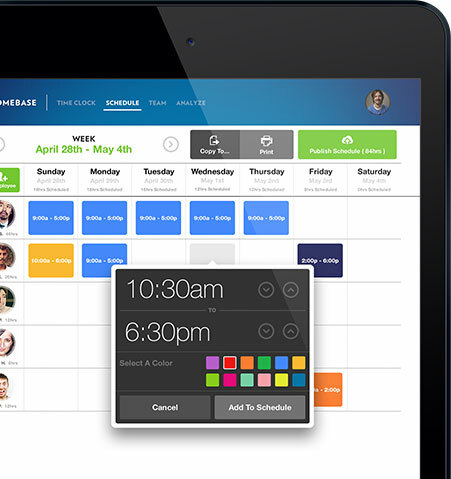 With the Homebase application, merchants can replace their old paper based employee schedules and build and publish a schedule online in minutes, access time clock information from any location in the world and boost productivity. Monitor hours, track breaks, and get overtime alerts — automatically. Someone didn't clock in? A catering order still needs to go out? Know about it wherever you are. Still managing your team on paper? It's costing you more than you think. Save up to two days per month of valuable management time. Save over $400 a month in employee labor costs from, admin time, early clock-ins, late clock-outs, and missed breaks. Eliminate thousands of dollars in compliance risks from labor laws, Obamacare, and employee lawsuits. Improve employee retention, reduce training time, and make more customers smile. To learn more about Homebase and how it will help your company, please call us at 888-593-0096 or Apply Now.